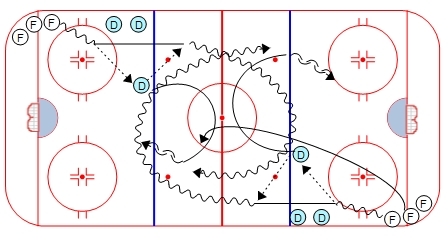 Give and Go 1 on 1 is another AWESOME drill from the Scott Fukami drill collections! 2. Return pass to the (F). 3. 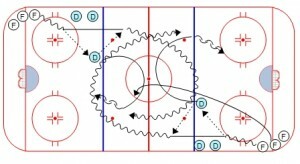 The (F) carries the puck under the blue line for a 1 on 1 on the opposite side. A second (F) joins the play as the first (F) skates under the blue line.